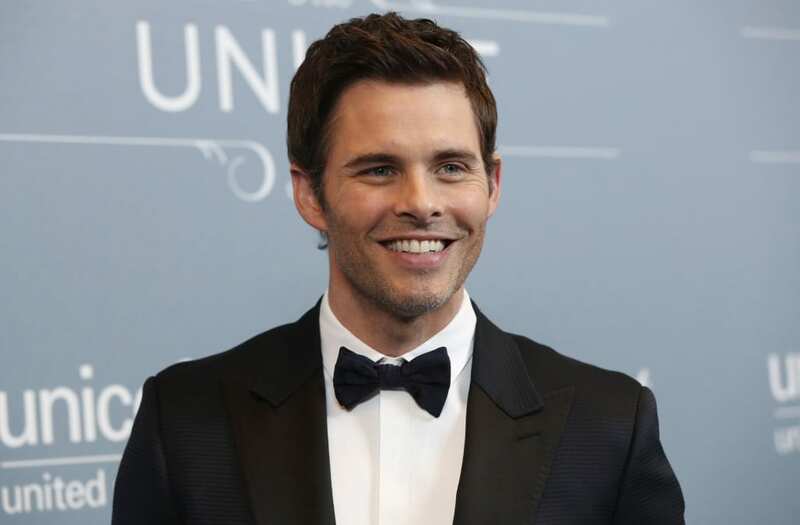 "Westworld" star James Marsden, who launched his own career as a Versace model in the 1990s, watched his teenage son follow in his footsteps Saturday as he took on the Fashion Week runway. 16-year-old Jack Holden Marsden made his runway debut for Dolce & Gabbana in Milan, much to the excitement of his father, who wrote on Instagram that he "could not be more proud." It was just a few years ago that James was carting around some much-younger kiddos! They grow up so fast -- and it's always fun to see them take on their parents' looks. The actor has three children -- Jack, 16, Mary, 12, and William, 5. James has a busy 2018 ahead with "Westworld" returning to HBO in April and new film "Henchmen" due out later this year. He's kept tight-lipped on what to expect in season 2 of his hit show. "I do know a few things. I do know that there will be movement with Teddy. Well, maybe that's not the right way to describe it. Boy, I don't know how to tell you without getting in trouble!" he told us in 2017. "[Teddy] took a little longer to reach his sentience and his awareness, and his awakening happened kind of later in the season ... It'll be interesting to see if he does start to truly wake up in the middle of all this insanity."